Open since January 15, 1986. Nemo Ride opened 2007. Come up close with real live versions of the cast of Finding Nemo. The oceans. Where did they come from? And what lives there? Find out at the The Seas with Nemo and Friends (formerly The Living Seas). 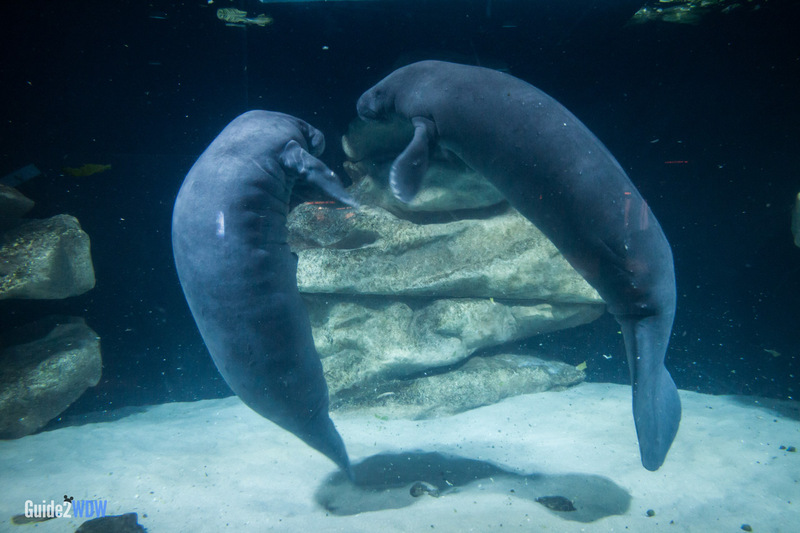 This attraction features many exhibits, an aquarium, and a ride all themed around the oceans and aquatic life. There is a lot to do at The Seas with Nemo and Friends. You can easily spend an hour or two wandering around and experiencing all the exhibits. The headlining attraction within The Seas with Nemo and Friends is also called The Seas with Nemo and Friends. This dark ride has guests climb aboard a Clammobile and go on an undersea adventure with all of your favorite characters from Pixar’s Finding Nemo. Rather than a retelling of Finding Nemo, this tells a new story where Nemo goes out searching for Marlin and Dory. The ride culminates in a musical finale that features the song “Big Blue World” from Animal Kingdom’s Finding Nemo the Musical. 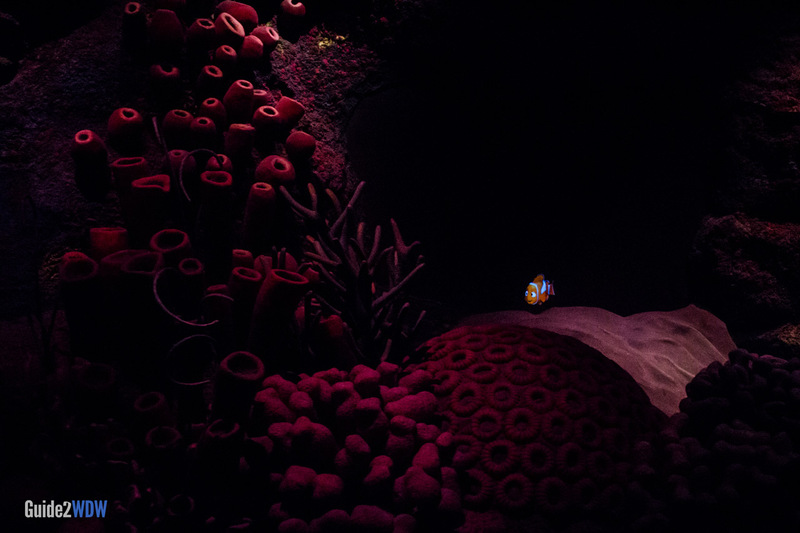 While all the effects up to this point have been isolated, by the end of the ride the animated Finding Nemo characters appear to be inside the aquarium with all the real fish. This ride is great for WDW guests of all ages, but especially younger kids. Epcot only has a handful of rides that are great for children, so if you’re traveling with little ones, definitely check out this ride. Once you get off your Clammobile, you will be inside the aquarium portion of The Seas with Nemo and Friends, where there is a big blue world of marine life to experience. Much like any aquarium, you’re free to explore and look at your own pace. So this Epcot attraction could take you 10 minutes, or it could take you 3 hours, depending on how much you enjoy ocean life. Guests looking for an in-depth experience should look into the special tours given at The Seas, including DiveQuest, Dolphins in Depth, and Epcot Seas Aqua Tour. These are available for an extra price. Bruce’s Shark World is a small corner of the aquarium, but it includes some fun interactive activities dedicated to sharks. There’s even a great photo-op where you can take a picture inside Bruce’s mouth. A fun, interactive show where Crush will actually talk to the audience. This is located on the first floor of The Seas. Read more about it on our page on Turtle Talk with Crush. 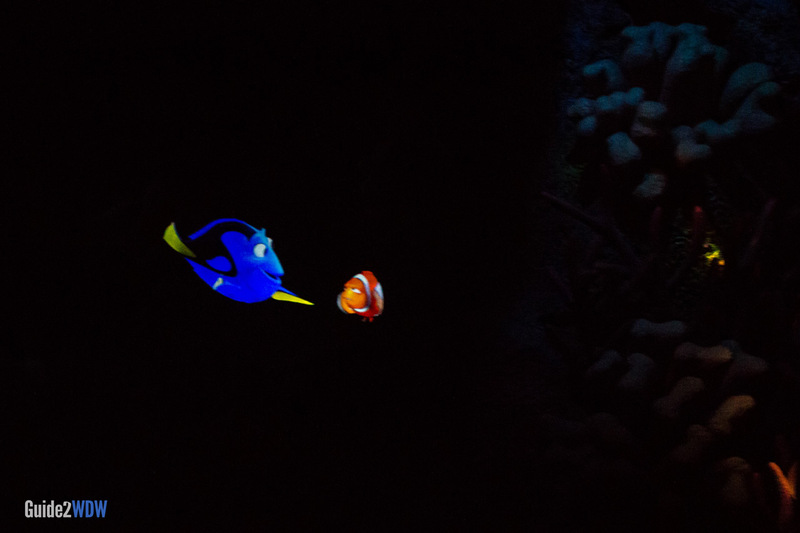 You don’t have to enter The Seas with Nemo and Friends through the ride. Just go to the entrance to the left instead of through the line if you just want to go into the aquarium. This was the world’s largest aquarium when it debuted in 1986 with 5.7 million gallons of water. 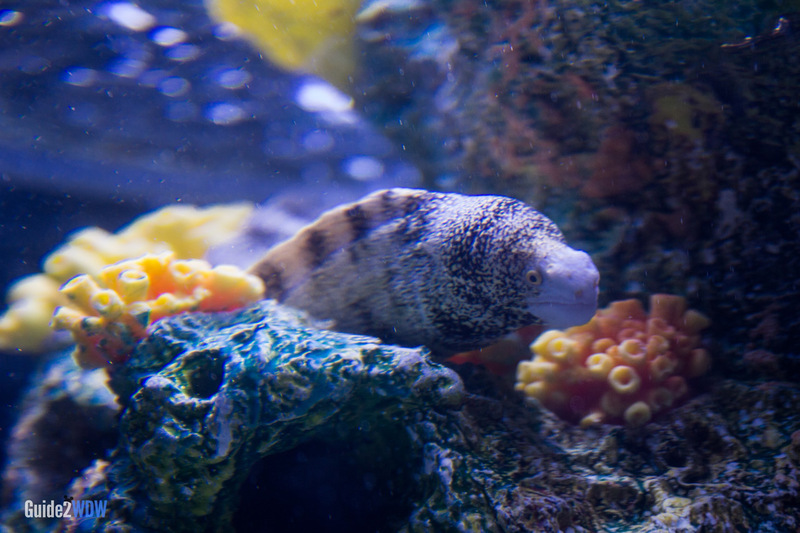 There are over 3,000 creatures in The Seas with Nemo’s aquarium. 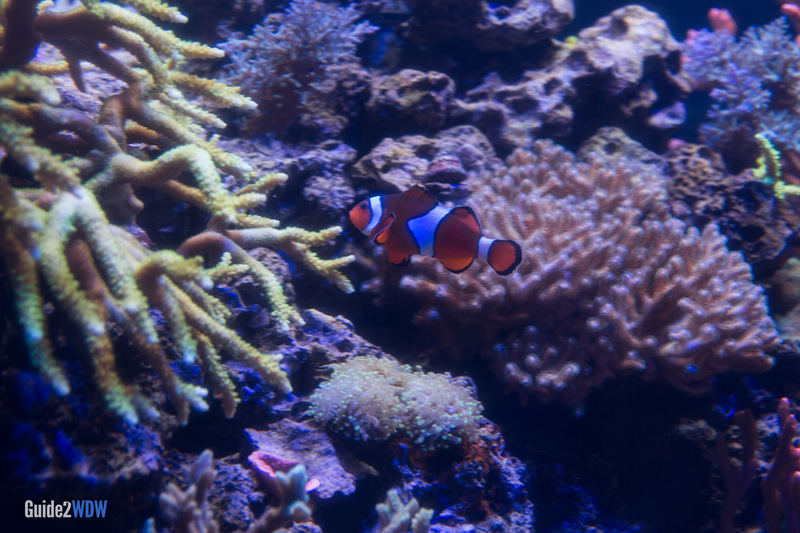 Nemo and Marlin are both clown fish, which you can see at the aquarium. Nemo playing around and hiding. So Marlin and Dory try to Find Nemo again. 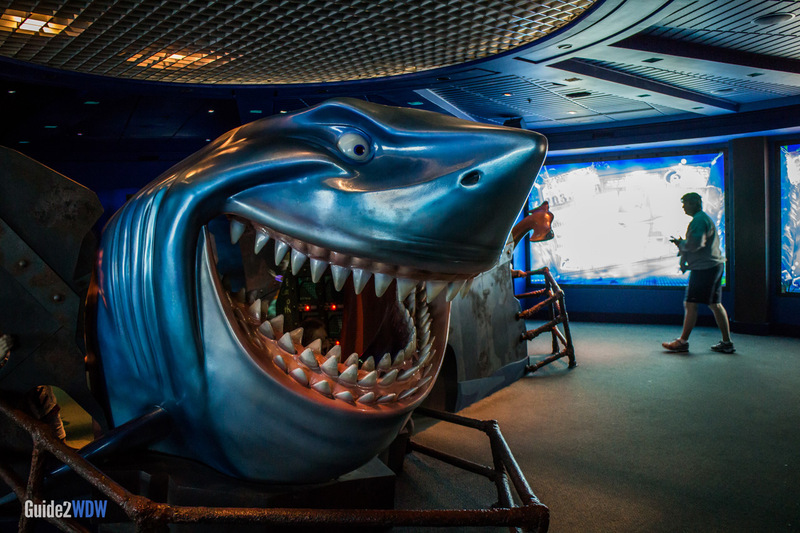 Bruce’s Shark World has one of the best photo-ops in Disney World – Get your picture taken inside Bruce’s mouth!